Speaking of delightful, I recently had a reader reach out with a few questions regarding their own book idea. I thought I’d share our conversation, in the event it could help any of you would-be authors get your dreams out into the world. I was just reading your blog posts on regarding book self publishing. I wanted to ask your advice or see if you could point me in the right direction. Long story short, I’m considering translating a public domain book into an English-Russian book (I can write in both) for bilingual families in the U.S., illustrating it myself (I can draw it), and publishing it as a package of books in a box. I was curious if you know of any self-publishing company that can accommodate this format, publish in Russian, and make it easy to sell on Amazon without me having to stock-pile boxes of books at home. I would appreciate any advice you might have or simply a point in the right direction. First and foremost, you need to decide whether you want to spend your time and effort shopping it around to publishing companies or if you’d rather put that time and effort (and some of your own money) straight into making it on your own. If you use Ingramspark (which is what I used and recommend after extensive research), you can simply make the Russian text part of your image files, therefore eliminating any potential issues with Russian translation. It would just be part of the book, as written/illustrated by you. Of course, all of the selling info would be in English (title, byline, description, etc. ), but since you’re marketing it to U.S. bilingual family, it sounds like that wouldn’t be a problem. The biggest challenge with self publishing is that your formatting is rather limited if you don’t want to completely blow your budget. You couldn’t do an actual box set with Ingramspark, but you could do a series of books of all the same size and quality. You can use this link to see the kind of options they have. Hardbacks are obviously more expensive than paperbacks, and color interior is obviously more expensive than black and white. You’d need a serial number for each book, of course, but it’s actually much cheaper to buy those as a group of 10 versus individually. You’ll also have an Ingramspark set-up fee for each book, which would drive up costs. I don’t believe you’d be able to sell them as a set. They’d just be available for print-on-demand via Amazon (and elsewhere) individually. Of course, you’d set up an author page, where they’d all be listed, which people could then find if they wanted to buy more or all of them. The fact that you can draw your own pictures will be extremely helpful, budget-wise. I spent more than $5000 for my illustrations alone. Hopefully this gives you some enticing food for thought! Thank you so much for all the information!! I really really appreciate it. I just looked into IngramSpark and also reached out to them (just in case they would be able to accommodate a boxed book set, never hurts to ask). It’s good to know they are able to print on demand via Amazon. Do they automate the whole order fulfillment process for you? Or do you need to forward each Amazon order to them manually? P.S. The illustrations in your book are quite amazing, they did a very impressive job! Oh, trust me. I know my illustrations are worth every penny! Precious Best did an incredible job bringing the world of The Denim Jungle to life. As for online book sales, Ingramspark automates the whole process for you, which is why I love it. They make your book available via thousands of online retailers and even international suppliers. I should warn you that their customer service is pretty bare-minimum, if not non-existent. However, the benefit of going with them versus other more “publishing consulting” services is that you can make a dollar per book versus maybe 20 cents. Yeah… it’s not a good money-making endeavor, to say the least. But if you’re like me and the challenge of fulfilling a creative dream is the goal, then they can certainly help you do that. By the way, would you be willing to let me post this conversation as a Q&A article on my blog? I think it could help others, too. Good luck. I hope you make the books, and you can count me in for a preorder! It’s good to know they are covering all the fulfillment for you. That’s very convenient. And with making a buck per book, maybe the endeavor will start generating some passive recurring income in 5-10 years or so…? Like you, I am not doing this for the money. And absolutely, please use this conversation in your blog. Do you (or your kids) have any questions about making a book? If so, ask away! I’m happy to help. 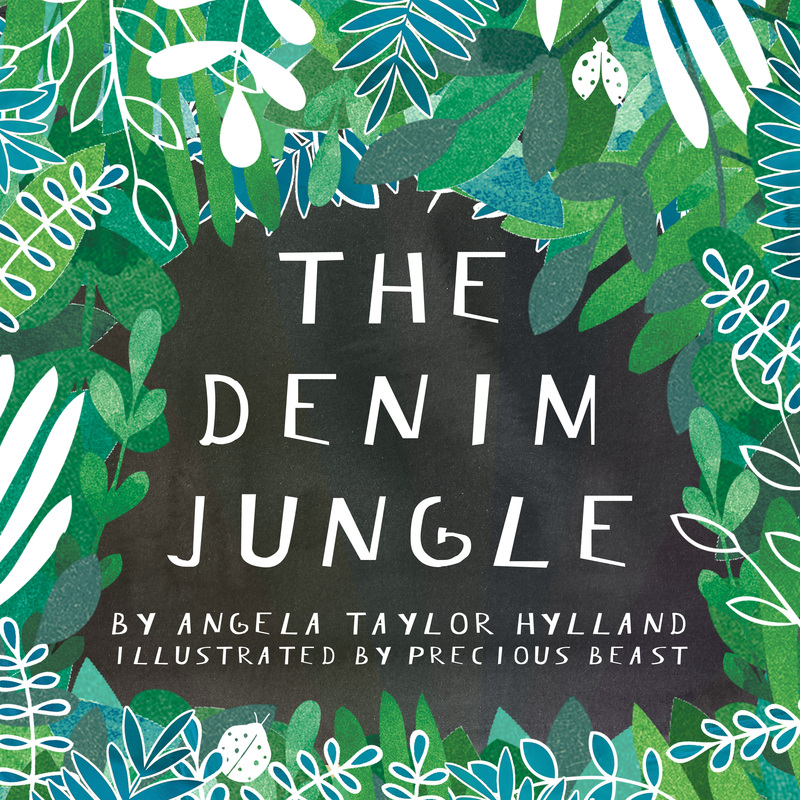 ← The Denim Jungle Storytime – From Us to You!